There are people who inspire me. Maybe they'll inspire you too. For a life-changing five years, I worked with architect Christopher Alexander to build a house on Whidbey Island, in the Pacific Northwest. Go to PatternLanguage.com, look for "the Medlock house" and you can find yourself at our front door, in our living room, or in the garden. Then just roam his site. Google him. 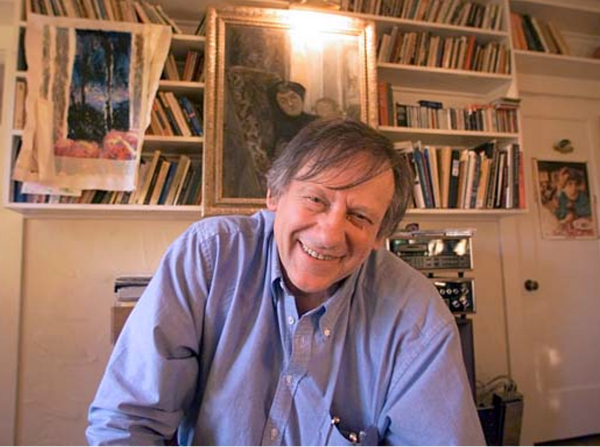 Read his astonishing books. He's one of the most important thinkers of our times and you must know all you can about his works and his thoughts. Everything I've done since the years we worked together on this house has been changed by watching Chris, listening to him, arguing with him. And the house that resulted has sheltered my soul, sent my imagination soaring, nourished everything I do. An influence? Oh yes. I've written a whole memoir about those years, and all the years since, living in this house. Rainey composes, writes, and performs country, rock, and jazz. She wrote, directed and starred in a musical about the Hunchback of Notre Dame. She paints. She writes poetry and stories. Formidable talent, this woman. 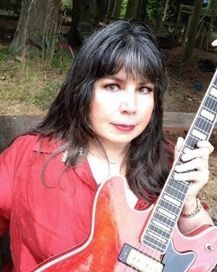 As a singer/songwriter, she's done everything from busking on street corners in New Orleans to opening for Johnny Halliday on tour in Europe. You can find her music at raineyonline.com. Jon Zahourek gave up painting some years ago to focus on his pioneering way of teaching anatomy (human, equine, and canine). I know his revolutionary teaching is important, but I hope he still paints privately. His paintings were/are extraordinary. 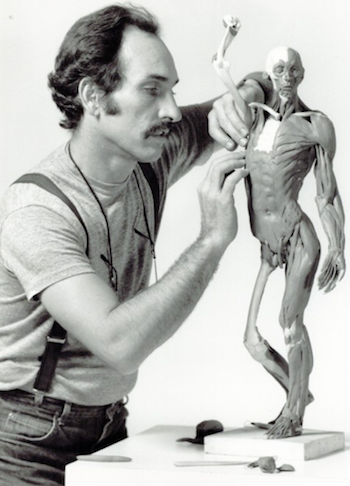 As an expert on anatomy as well as painting, Jon was teaching at four of New York's major art schools when I met him. And he was doing his own paintings in a converted firehouse across the Hudson, in Jersey. I went to a showing of his work at a museum on Staten Island, moving through room after room of the most extraordinary canvases, and found myself in tears, at the beauty of the work, and at the emptiness of those rooms. I was the only visitor to the show. Decades later, the human form is back in favor in the art world. I'd love to see the turnout if there were a showing of his works now. 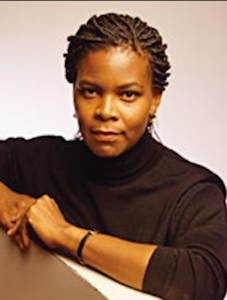 Gordon-Reed, an attorney and a professor of law, wrote the excellent book, Thomas Jefferson and Sally Hemings, An American Controversy, presenting the "case"—witnesses, evidence, documents—on a story that I had researched in 1963 for a history seminar. Gordon-Reed did a magnificent job of telling this once "unthinkable" story. 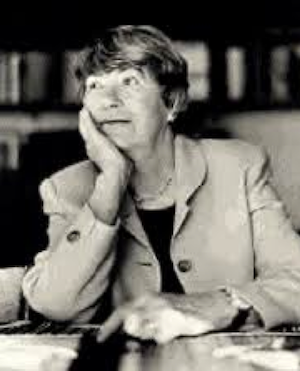 It's a joy to see it finally known and understood, thanks to her fine work. My 1963 paper was called Jefferson & Black Sal, The Record of a Rumor. Years ago a fellow poet sent me a poem she'd just found in the New Yorker, saying, "This sounds like you." I read it and thought the writer was me. I didn't recognize her name, and it was followed by "1933-2003." I was born in 1933. This contemporary who so spoke to me was dead. I became email friends with her widower; he even came to Whidbey to visit, telling us wonderful stories about his late wife and giving me a copy of her memorial service, filled with prints of her paintings. He said his son found the poem on her computer—she'd never tried to publish it. Years later, he found a notebook she had done of poems and illustrations when she was a student—he sent me a copy. And his whole family was looking for a poem she had written when she was an undergrad—she'd come in second in a competition judged by W.H. Auden. The winner was Sylvia Plath. She went on to grad work at Yale and after a writing class there, stopped writing. Her stopping has made me keep going. For her. She stopped writing but she did paint. Wonderful paintings. There was a gallery of them on my old website but it disappeared in the transfer to this new site. If the waybackmachine can find them, I'll repost them here. For now, here's the poem that so blew me away. I whisper, I did only trivial things today. Even her painting had been back-burnered while she spent her days as the Angel in the House. It hurt to read those lines. I think of her when I write a poem or a story. To hell with the tablecloths in the ironing basket. 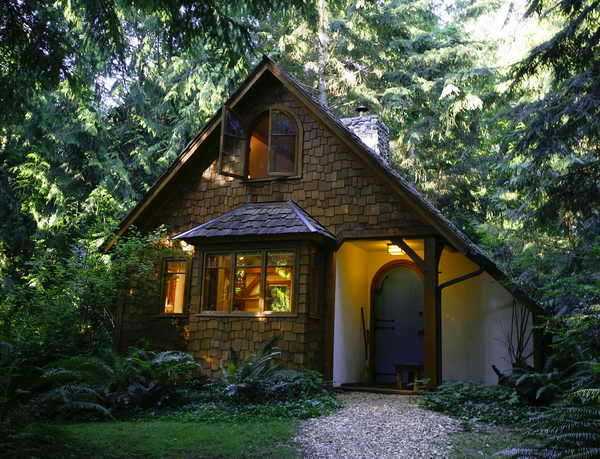 This is a place that gives me goose bumps and makes me want to sit down and write my heart out—the Hedgebrook retreat for women writers. I've been on the Board of Directors there for some years and I never fail to be thrilled by the respect and love for women's voices that emanates from every square inch of that land and those buildings. A detail that says it all: in the writers' cottages, all the window glass is beveled, to play with the incoming light, making rainbows across the desk where you're writing. Makes me cry every time I see it. I've done some of the best work in my life in those cottages, held up by the radical hospitality of the staff, and by those I'll-be-damned rainbows.